This year’s Rosatos are also much bigger, sweeter and rounder than usual. This is a definite plus for those who enjoy bold, luscious, full-throttle rosés, but the flip side is that many of Italy’s 2015 Rosatos also carry high sugar and low acidity levels, and show less obvious site or regional character than in other, cooler, vintages. 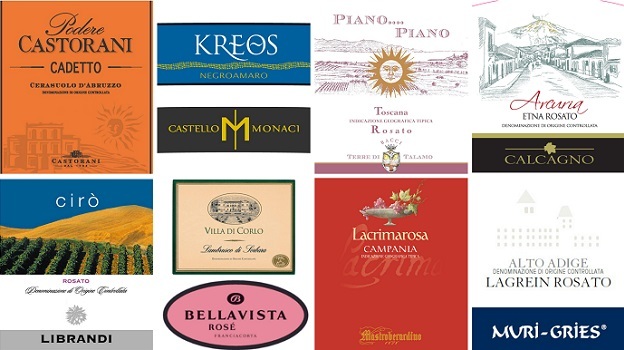 Generally speaking, all of the 2015 wines I tasted for this report were bigger, softer and sweeter than their 2014 counterparts – in some case, much too sweet – and while total acidity levels weren’t a concern in most of what I tasted, low acidity did pose problems for producers, many of whom decided against making a Rosato because of this (a case in point being the usually outstanding Rosato wines from northern Piedmont’s La Prevostura and Colombera & Garella estates, which were not made). Another characteristic of the 2015 Rosato wines is that they are a touch paler in color overall, also owing to the hot summer weather. Fearing excessive sugar accumulation in the grapes or untimely rainfall, many estates harvested grapes meant for Rosato production earlier than usual, and thus did not allow for the usual build-up of anthocyanins in the skins. That said, those producers who have shown a knack with Rosato over the years have done extremely well again this time, even if the wines are fleshier and bolder style than usual. Alberto Longo, Cataldi Madonna, Ippolito 1845, Pratello, Rosa del Golfo, Tiberio and Valentini are just some of the names that shone this year. And the many Franciacorta Rosé bubblies I tried in recent months were also, for the most part, remarkably good. To learn more about Italy’s diverse Rosato wines and their very different characteristics, I urge you to refer to my long and hopefully helpful introduction to last year’s article Looking at Italy Through Rosé-Tinted Glasses: Cerasuolo, Rosato, Ramato and Chiaretto.